Summary: Prince of tennis is back! Personal comments: OMG, the prince of tennis is back! I can't believe they are actually making more Prince of Tennis. 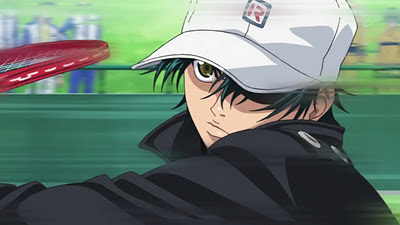 As far as sports anime that based on over-the-top skills that no human could possibly possess in this world, Prince of Tennis is probably one of the best one I've ever seen. This new series seems to be an reunion of all of Seishun junior high school's past opponents. If they have kept up with the standards with the original series, I think it'd still be an interesting series to watch.